Some parents anxieties and health issues of premature babies in NICU or HDU wards. If your premature baby is in the NICU or HDU it has its ups and downs as a baby?s condition can change at any hour day or night.You may want to scream and shout at relatives as they say you?ll be Ok but sometimes its not that simple.Here are some feelings and emotions to let the world know of what you could be experiencing whilst staying by babys cot until baby can go home. A Premature baby in the NICU may too get sick like babies and children. They are so tiny and sometimes not strong enough to fight off infections easily. They do tend to pick up germs, infections because of their vunerablility.Thats why it is so important to wash the germs away to keep infections at bay in all the Special Care Baby Units in the hospital.Hand wash gels are Important for all nursing staff,parents and relatives visiting the NICU. A few infections that occur in the Nicu affecting tiny babies. Blood stream infections intravascular access devices attached to baby can cause these.Babies can get sore where lines,monitor leads etc are attached to baby.pneumonia,conjunctivitis eye infection. As your premature baby comes home you may relax easier now that all the tests they may have had to have to do such as blood sugar tests,oxygen levels maintained,cpap etc are good enough for baby to be sent home. You have to maintain vigilance in terms of avoiding coming into contact with people with infections such as coughs and colds.A premature baby doesn?t yet have a strong enough immune system to ward infections as in older children. 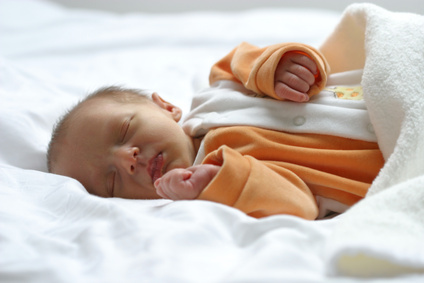 Can a premature baby get thrush ? the answer is yes it in fact its more common amoung premature babies. Its caused by a fungal infection.An excess amount of fungus that causes the mouth membranes to become infected. White patches appear inside the mouth coating the tongue also white. Some mums drop a dummy on the floor then put it in their own mouth before passing it onto their baby but this is unacceptable if you want to keep your baby free from any type of infection let alone thrush. Keep baby bottles etc clean and use a sterlizer/solution or boiling for 5 mins to at least 6 months.Thrush can be passed on by breastfeeding to.Thrush can go through the mouth and straight to baby?s bum causing a rash nystatin cream is often prescribed for the bum and drops for the mouth.